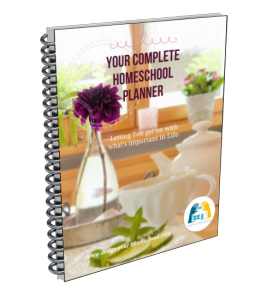 Choosing Your Homeschool Curriculum will now be easier for you since you have written down your curriculum goals in each specific area. You now have a broad overview of where you are heading. Oops!! If you haven't got the curriculum goals in our heads or on paper, as yet... you will need to .. Set your family goals! This exercise was an extremely important thing for my husband and me to do. It allowed us (as husband and wife) to decide what was important for our family and allowed us to narrow our focus on our priorities. Setting Goals- Is it really important? Having done this, we can see the big picture. Although, we aim for these goals, I don't believe we will tick each box as having fulfilled them completely. These goals give us direction and focus, but they are ideals. Yet, as we look at them in the overall big picture, we realize that we can spread these goals out over many years of concentrated learning, and also into the future, because, of course, learning never ends. So, the next step is choosing your homeschool curriculum that will help us fulfill these goals. The materials that may help us can be varied. 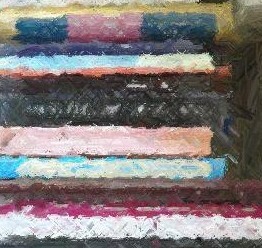 We initially think of books- textbooks and curricula. They will have their place in certain areas. But some goals will be fulfilled in other ways. do further studies via TAFE or OTEN or a University online course. How do we make decisions when choosing Homeschool Curriculum Materials? Remember that when you are choosing your homeschool curriculum, you are the master and the curriculum you buy will always be the slave. You will need to remember to use it to suit your family. It needs to be a guide and help to you. Take from it what is useful and supportive of your goals. Leave the rest. Will you buy from secular or Christian authors/ publishers? We have to think of worldview bias; quality of product; direction; information contained in the text, but also the information the author is deliberate in leaving out. Will the material you purchase fulfill your family goals? Do you want to select different books to meet your goals or would you prefer an all-in-one curricula? Will the material you buy fit the homeschool approach of your family?- See the on-line quiz and Approaches overview. Will the material suit the learning styles of your children or can it be adapted? Talk to other homeschooling families who have used the materials. 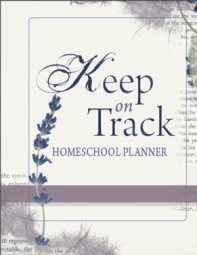 Read reviews and descriptions of curriculum and add a review for other homeschoolers to read. Cost. Can I do this in a simpler, more cost effective way? However, before you choose a curriculum, have you studied approaches, where you fit in, and how you can design your own unique educational approach?